Over 500 facings of cigars. One of the largest selections of cigars in Northeast Florida. 1,500 square feet of Quality and Comfort. Luxurious Seating lounge with 5 huge flat panel TVs and free WiFi. We're Also a Bottle Club. Bring your own beverages and enjoy no corking fees. 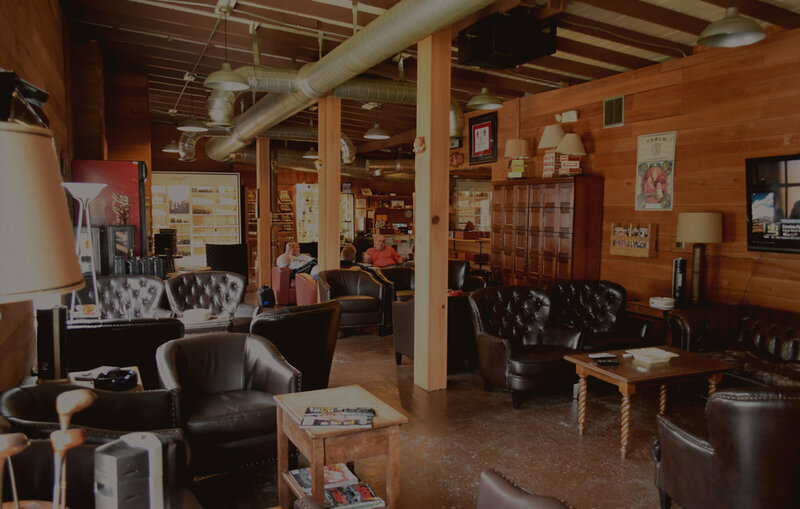 Come visit one of the most comfortable cigar stores on the planet! Waterwheel Cigars offers the very best cigars on Amelia Island, FL and is considered one of the most comfortable cigar stores on the planet. With over 500 facings of cigars, we have one of the largest selections of cigars in Northeast Florida. Our premier store is not only a place to purchase the highest quality cigars, but also somewhere you can meet with friends, relax and enjoy your favorite cigar. Our 1,500 square foot premier store offers a very comfortable seating lounge with 5 huge flat panel TVs and free WiFi. Relax with your favorite cigar and a drink in our lounge while watching your favorite event or show on one of our large big screens. Or kick back and relax in our lounge area on one of our comfortable leather sofas. Waterwheel Cigar is also a Bottle Club allowing customers to bring their own beverages and there are no corking fees for customers. Extremely friendly and knowledgeable staff!! HIGHLY recommend!!!! Visited during Shrimpfest in May. Good selection...Good prices. Owner was helpful, recommending a few great restaurants and bars. We definitely return next year. I love this place. Very relaxed. The staff are very friendly, Chris especially so. Really good selection in their humidor. Hands down the best cigar shop within a 50 miles radius. The staff is knowledgeable and can make great recommendations. Great place to relax, smoke and shoot the breeze with the clientele. This shop caters to both locals and out of towners. Price is on par with most smoke shops. Good looking place, nice lounging area for cigars, pipes. No cigarettes please. Owner was super friendly. Great humidor type cigar store, with no distractions. If you come here, you are here for cigars. Doesn't have liquor, no grill or bar food. Bring your own food, buy bottled water or soda or a cup of coffee, and light up your favorite stogie. Several large screen TVs, great cigar selection in the humidor, also sells accessories like lighters, cutters, and personal humidors. Great to have a no-frills, cigars only store where everyone there is like you - a cigar lover. Definitely check them out if you are near Amelia Island or Fernandina. Came to waterwheel to buy cigars as a gift so we didn't know exactly what we were looking for. Thankfully the staff were incredibly helpful and Craig was a pleasure to chat with and help us find what we were looking for. Overall a great selection of cigars and a friendly environment.